There's nothing more exciting than moving into a new property. It's a place where a person can make new memories, meet new neighbors and explore the neighborhood. A new tenant will be desperate to get their hands on the keys, but only the reckless rush in. It's important to make an informed choice before signing any contract. For this reason, here are 10 things you need to know before signing a rental agreement. Where a tenant lives will determine how happy they are in a property. While the area might look pleasant in the day, it might not be the same story come nighttime. It's wise to pay the neighborhood a visit at night. For instance, is there an all-night rave nearby that could cause a sleepless night? Are potential neighbors a little too noisy? Maybe the traffic is bad during peak hours. The more a tenant learns about an area in advance, the happier they'll be to sign on the dotted line. Different states have different laws. Yet, most apartments require a landlord to pay the water bill. 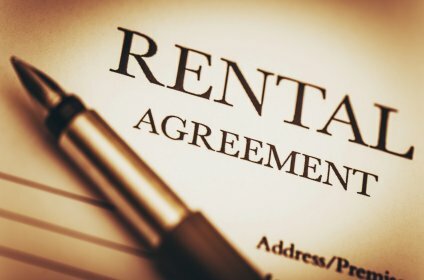 If a tenant chooses to rent a house, it will more than likely be them that has to foot the bill. Every tenant should ensure a water meter features an efficiency device. If a landlord is unable to prove the property is water efficient, the tenant won't have to pay for it. Before a tenant signs a rental agreement, it's important they are aware of their rights. It's essential to gain an understanding of the repair process. For instance, if something breaks or malfunctions, a landlord must arrange and pay for it to be fixed. A tenant only needs to inform them. If a tenant needs an emergency repair and they can't reach the landlord, they can pay for it themselves, but the landlord will have to reimburse them. Every tenant has the right to privacy, even if a landlord is the owner of the property. A monthly rental payment will allow him or her to treat the property as their home. For this reason, a landlord or real estate agent must provide prior written notice before a visit. If a tenant has any doubts, they should speak to the landlord to identify their privacy rights. Many people often think the rental agreement is full of only legal jargon. Yet, a tenant shouldn't make a commitment until they have read it. While some of it might be boring, other bits of information might be alarming. For instance, a tenant may have made a verbal agreement for a 1-year lease, but an agreement might say otherwise. If a person doesn't read the fine print, they could be tied to the property for two years or more. We also recommend checking how much will need to be paid if the lease is broken. In some cases, a tenant may have to pay up to three months rent or more, but there are ways to reduce the charges. Reading the fine print could prevent making a big mistake. Many landlords will tell potential tenants they'll take care of an issue once they have moved in. Yet, they could still be waiting for the problem to be fixed months later. A tenant is entering a legal contract with a landlord, which will work in the landlord's favor. Yet, it shouldn't all be one way. Discuss any expectations with a landlord and request they put promises in writing. If it's not in writing in the contract, there's no guarantee that it will happen. Always get everything in writing. This will allow both the landlord and tenant to have a clear view of what's expected of them. Plus, if a landlord fails to live up to a responsibility, a tenant can remind them it's in the rental agreement. Everyone imagines what their new home will look like before they move in. As such, it can be a little disappointing to learn that all the power points are on one side of the property. This may mean you can't place the TV or desktop where you wanted to in a room. A tenant should also check if there is a phone line. Technically, a landlord has a duty to inform a tenant if there is no landline. If there is no landline, you will have to foot the expensive bill to fit one so you can receive the internet. Any tenant who drives should ask about parking before signing up to a rental agreement. If there's no off-street parking, a tenant may have to pay for a parking permit on the street. It's important to know the cost up front to add it into a monthly budget. What's more, a tenant should also pay close attention to the area to find out how hard it might be to park in the street. Tenants who own a pet should ask a landlord if their dog, cat or guinea pig can move in with them. Some landlords have a strict policy on no pets in the property. Others might be a little more flexible. Some might not want any furry animals, but are happy for a tenant to own a pet goldfish. It all depends on the landlord. It's vital to ask the question before signing a rental agreement. Otherwise, a tenant will be tied to a contract that bans their much-loved animal. Find pet friendly rentals. Last but by no means least is double checking to see you are not being overcharged for a security deposit. Rental laws will vary by state, but most dictate that a bond can't exceed four weeks' rent. In most cases, a tenant also can't be asked to pay an advance of more than two weeks rent. If in doubt, we recommend Googling the tenants' rights for a state. Are you looking for an apartment to rent? Take a look at the many apartment ads in your chosen state.